Whether or not you operate a small business, or just do some work on the side to bring in extra cash, most people are able to sign up for a business credit card, even if they don’t have a business tax ID number. The misconception that you need an operating LLC or other type of business to open a business credit card is not correct. 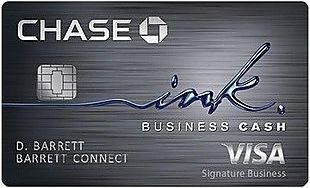 You can apply for a business CC even if you are thinking about opening a business, and the card will help you meet the goal of one day opening a business. 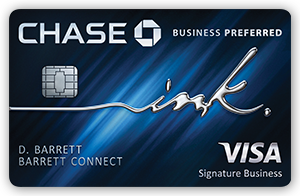 Regardless, business credit cards are a boon for people who love to travel. Period. Not only does the spend on the cards not count against your personal credit score, but they often earn nice amounts of points from the credit card providers. Sign up bonuses are also fairly rich for these cards, allowing you to rack up a nice amount of points in a very short time. Often, these points can be merged together (especially the Chase Ultimate Rewards points) between cards, making them much more powerful when combined. 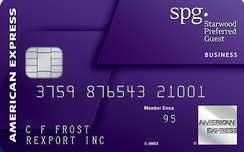 American Express SPG Business – NEW SIGN UP OFFER (EXPIRES TODAY 3/28): 35,000 points after spending $7000 in the first 3 months • Free first year, $95 annual fee thereafter • SPG & Marriott Gold Status • Starpoints are likely the most valuable points to collect for travelers – I’ve written about the SPG cards in the past and why I value them so much. Feel free to ask questions in the comments below and we’ll do our best in responding and making recommendations based on your business or personal needs. Note: Some of the links in this post are referral or affiliate links and help support the running of YeahThatsKosher.